Scott Penfold of Loaded Radio recently conducted an interview with vocalist Anders Fridén of Swedish metallers IN FLAMES. You can now listen to the chat using the SoundCloud widget below. Speaking about his current relationship with former IN FLAMES guitarist Jesper Strömblad, Anders said: "I live in a different city, but I still love the guy. We didn't part ways because we were enemies; we parted ways because we couldn't work together anymore and didn't want to work together. And I know he's in contact with some of the other guys [in the band] here and there. So he's off doing his thing, and I hope he feels good about it. We're doing our thing and continuing being IN FLAMES." Asked if he would have any problem with Jesper coming up on stage at an IN FLAMES show and jamming a song like "Leeches" with the current version of the band, Anders replied: "[That would be] no problem at all." Strömblad announced his departure from IN FLAMES in February 2010, explaining in a statement, "I'm determined to fight and defeat my demons once and for all." 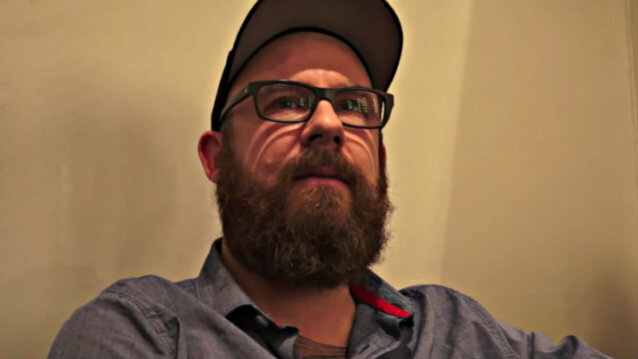 The remaining members of IN FLAMES added: "The door to IN FLAMES is always open to Jesper. We are, and will always be, behind Jesper 100% on his way to recovery." IN FLAMES' latest album, "Siren Charms", sold around 9,000 copies in the United States in its first week of release to debut at position No. 26 on The Billboard 200 chart. IN FLAMES filmed a new concert DVD/Blu-ray on November 6, 2014 at Hovet in Stockholm and November 7, 2014 at Scandinavium in Gothenburg, Sweden. A 2015 release is expected.